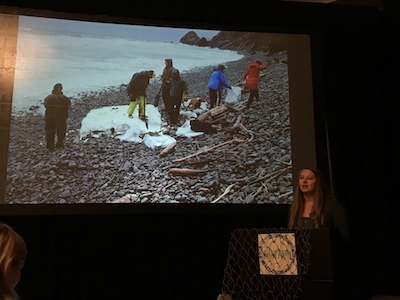 This week, the United Nations Environment and the National Oceanic and Atmospheric Administration (NOAA) held the 6th International Marine Debris Conference in San Diego to discuss the problem of plastic pollution that is plaguing our ocean. Surfrider Foundation staff, chapter leaders and affiliates were there to present our message of rising above plastic pollution through a reduction in single-use plastic. Just after the opening plenary on March 14th, the third day of the conference, #BreakFreeFromPlastic activists took over the 6IMDC lobby with a clear message: to stop plastic pollution, stop making plastic! 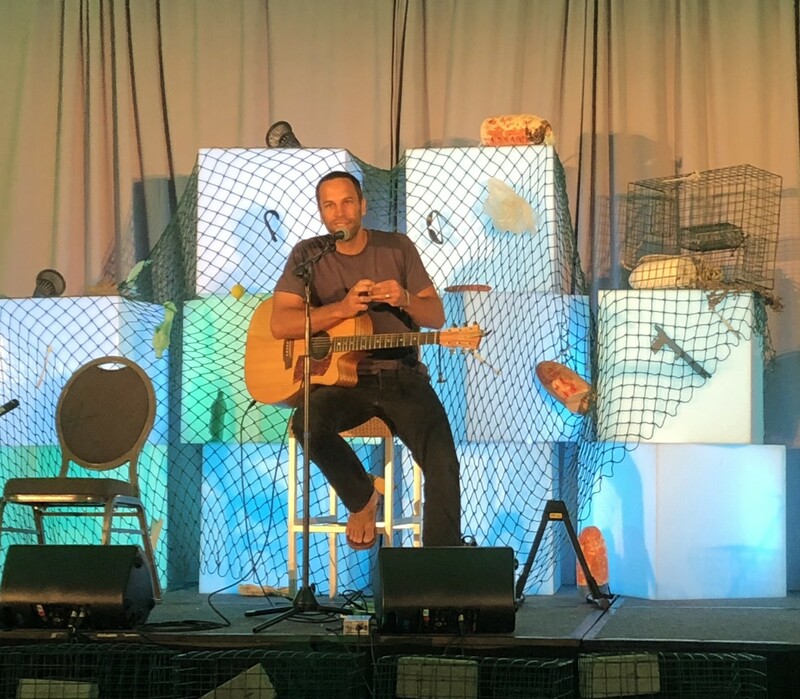 As Trent Hodges, Surfrider's Plastic Pollution Manager reports: "In order to keep the message of the conference focused on source reduction of single-use plastics, the Surfrider Foundation joined our allies in the global #breakfreefromplastic movement with this direct acction demonstration." Break Free From Plastic is an international coalition including hundreds of organizations and individuals from around the world who are rising up to fight plastic pollution; the core, unifying tennet of the coalition is that if we want to stop plastic pollution, we must do it at the source and advocate for reducing the production of harmful single use plastic. About 40 individuals representing organizations around the globe and wearing break free from plastic t-shirts stood together and began to chant, "STOP MAKING PLASTIC" and 'break free from plastic," to remind everyone about the base issue at stake in marine debris and plastic pollution - source reduction. Leaders from the movement stepped forward to address the crowd, inspiring a deeper dialogue and relaying a firm reminder that the fight to end plastic pollution starts with changing the archaic, systemic production system based on fossil fuels. "Youth may be 25% of the population but we are 100% of the future." ~Melati Wijsen, Co-Founder, Bye Bye Plastic Bags. "The conference truly exemplified our global connection to protecting our oceans. With participants from over 50 countries around the world, we were unified in the urgency to address plastic pollution through local, regional and global strategies." ~Charlie Plybon, Surfrider Foundation Oregon Policy Manager. "Surfrider had a strong showing of staff and volunteer activists at 6IMDC that reinforced our role as leaders in the effort to stop plastic pollution. While there was not much discussion about source reduction of plastic as a solution from the industry representatives present at the conference, many of the attendees spoke up and asked the hard questions that need to be answered: Will you support bottle redemption bills that lead to less litter? Will you commit to apparel lines with 100% natural fibers? While the answers seemed dismissive at times, there is hope. There was a great group of young plastic pollution avengers present who are ready to take on the plastics industry with us as we educate the public and host cleanups in hopes of a day in the near future when we are free of plastic pollution and the far reaching impacts," reports Bill Hickman, Surfrider Foundation Southern California Regional Manager. 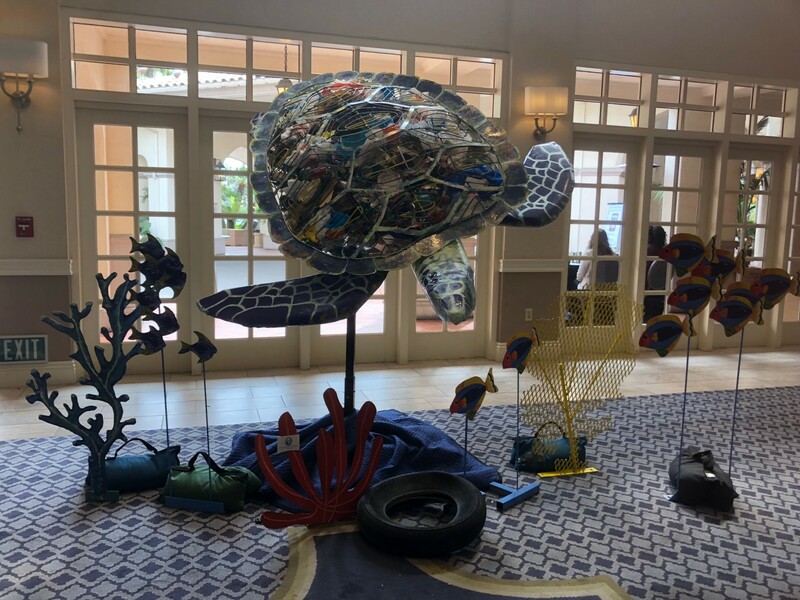 "It was evident that we've made great strides since the last International Marine Debris Conference in 2011 in terms of raising awareness and developing policy to address marine plastic pollution," says Surfrider Legal Director Angela Howe. "While the last conference did not address 'plastic pollution' head on, this conference acknowledged plastic as the most caustic threat to our ocean and engaged industry in EPR and zero waste strategy ideas." "This conference was a whirlwind of fresh ideas begging for action," said Surfrider Foundation Northeast Regional Manager, Melissa Gates. "Scientists demonstrated new data that prove the extreme pervasiveness of plastic pollution in our environment, while identifying key gaps in understanding the causal relationship to explicitly correlate that pollution with disease and mortality. Activists hunkered down to absorb the information and then in the hallways and after-hours came the real work of synthesizing the research and applying collective expertise to brainstorm next steps. Ripping off the band aid approaches to plastic pollution was resoundingly popular, with the preferred approach to instead dive deeply into lasting solutions we can leverage to actually get at the root of and solve plastic pollution problems, such as source reduction (stopping production of low-grade, single-use plastics) and advancing zero waste communities." 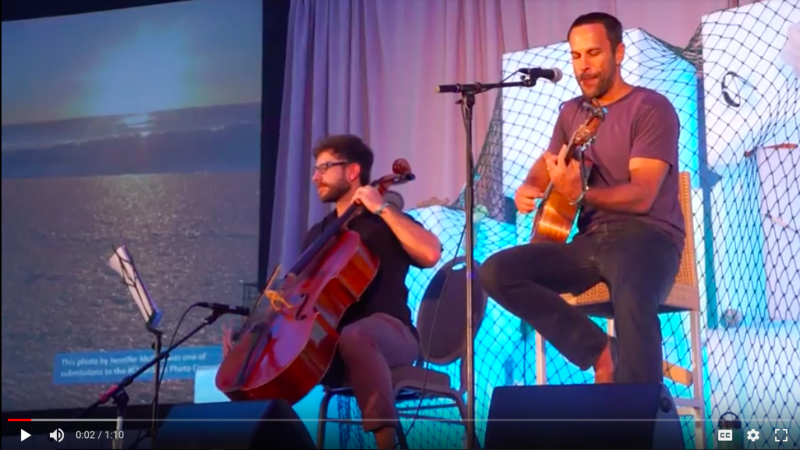 While the conference ended on a high note with Jack Johnson reminding us that we are "Better When We're Together," the conference organizers did not commit to the next conference date. However, the international community is charged up to address the issue and share best practices across borders for the protection of our ocean, waves and beaches.